Artichokes are a very bold and aesthetically pleasing plant. Without flowers, the plant has great texture and great color. With the flowers (the “artichoke”), the plant just pops in the landscape. There are many varieties, including a gray foliage artichoke and these are great to put in the landscape. Be careful of the space that an artichoke needs, though, as you will need to provide at least a 4 foot by 4 foot area. These plants grow large! The Bay Laurel tree is an incredible tree that provides amazing aesthetic quality, evergreen screening capabilities, and the aroma off of the tree is just pleasant. We use this tree a lot for drought tolerant projects that require an evergreen screen and a beautiful looking tree! The cooking capabilities of this tree are incredible. You can cut the branches, use the leaves for cooking, marinating and much more! The aroma off of the leaves is enough to brighten up your room for many days! The tree is a slower grower, and can fit into most landcape ares. There are so many varieties of thyme at nurseries these days, that we have just listed and shown the standard creeping thyme. There is Spicy Thyme, Lemon Thyme and much more to choose from. There are also variegated forms, options for flowering thyme and low water use thyme. We advocate the use of this plant in many different gardens because of its drought tolerancy, beautiful texture and flowers that prop up if you don’t use the herb for cooking on a regular basis. Michael Cook and Steve Kovanis were involved with the Casa Bella Verde project as the landscape architect of record for this award-winning project located in El Dorado, California. This national award is given to top projects using ICF products, this specific project used IntegraSpec ICF units, over 60,000 square feet of the product. (see award here: http://www.icfmag.com/builder_awards/2012/Unlimited_Residential_01.html). The landscape on this project was extremely drought tolerant, native and locally specified. What the heck is a Ha-Ha? I saw this post on the Houzz.com site over the weekend and I thought it would make a great re-post on our blog. This centuries-old idea had utilitarian roots, as the post suggests, for keeping the animals separated from the ornamental landscape. This would also serve as a view-preserving feature, and make the yard seem much larger than it actually was. 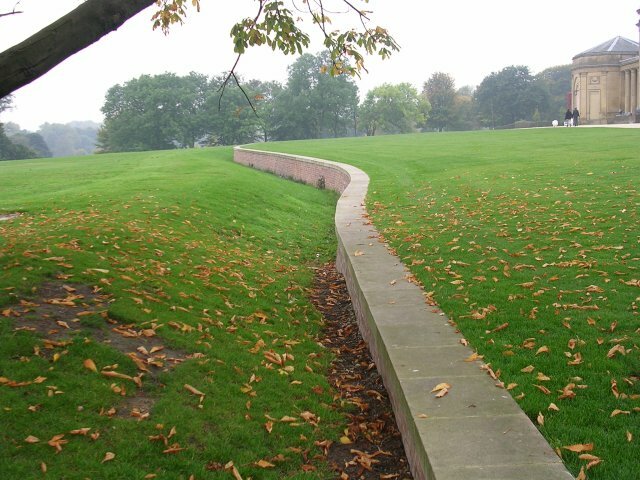 There are many modern-day uses for the Ha-Ha and we’d love to assist you in creating opportunities in your landscape to use this feature! That there are only going to be more of these facilities. We know what drives the expansion and that is the aging population. We are expert at providing interpretive landscape designs for smell, feel and interpretation! We know what our elderly population can understand (as my grandmother recently entered an assisted living facility and we helped that facility redesign their courtyards and it really helped) and we know what our elderly population can feel, understand and smell. Theese are all very important when designing a alzheimers’ facility, a retirement facility, an assisted living facility! These are all interesting propositions and we are able to assist the facility with the design and can understand the needs of the owners as well.